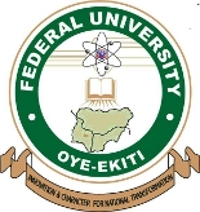 Federal University Oye-Ekiti, [FUOYE] Final Pre-Degree Entrance Examination Date, Time and Venue for 2018/2019 Academic Session. This is to inform all Pre-Degree applicants of the Federal University Oye-Ekiti, (FUOYE) that the final entrance examination date, time and venue for the 2018/2019 academic session has been released. FUOYE Final Pre-Degree Entrance Examination Date holds on : 31st January, 2019. Venue: Iyke Ifeanacho ICT Centre, behind UBA Bank, Oye-Ekiti by 9:00a.m. Prompt.